Cadets on parade in front of North Georgia Agricultural College, 1891. Jonathan Perry Knight, of Rays Mill, GA attended the college around the late 1880s. For over 125 years “Georgia’s ‘West Point’” has been a college destination of choice for students of Berrien County, GA.
North Georgia Agricultural College (now known as the University of North Georgia), at Dahlonega, GA was founded in 1873 as a military academy where military duty was obligatory for all male students over the age of 15. Cadets at the college drilled daily in artillery, infantry and other exercises. 1893 Tifton Gazette advertisement for North Georgia Agricultural College. North Georgia College was originally organized and administered on a military basis which system has prevailed from the date of its founding. The college has been classified by the United States Government as an “essentially military college,” being one of eight colleges in the United States so designated. It is the only one in Georgia, and, since “essentially military colleges” endeavor to emulate the traditions of West Point, North Georgia College has well been called “Georgia’s ‘West Point.’” General Robert Lee Bullard, formerly Commandant of Cadets and Professor of Military Science and Tactics, referred to the college as one of the two finest military schools in the country. 1910 Valdosta Times advertisement for North Georgia Agricultural College. Among those from Ray City who served in the Corps of Cadets at North Georgia were Jonathan Perry Knight (1872-1953), Alexander Stephens Knight (1883-1966); William “Harry” Luke (1923-2000); James Arthur Grissett (1932-2010), and Joe Donald Clements (1931-2014). Alexander Stephens Knight (1883-1966), brother of E. M. “Hun” Knight, was a sub-freshman in 1898; became a pharmacist in Nashville, GA; later moved to Atlanta, then Palm Beach, FL. Charles Verne Parham and William Lamar Parham (1907-1932) were brothers attending North Georgia College in 1925, Verne as a senior cadet and Lamar as a freshman. Lamar was killed in a plane crash at Randolph Field, TX in 1932. Donald Willis, (1921-1981) was a resident of Nashville, GA when he entered the Corp of Cadets at NGC in 1940; served in the Army during WWII; buried Oak Ridge Cemetery, Tifton, GA.
George W. Chism, of Nashville, GA. 1940 freshman cadet at North Georgia College. Donald Keefe, of Nashville, GA; son of turpentine operator Roland E. Keefe; 1941 sophomore cadet at North Georgia College; joined the Army Air Corps and served in Europe; died in France during WWII. Jacob Jackson “Jack” Rutherford, (1924-2004), a 1942 NGC freshman Cadet. Served in the Army in WWII; buried at Douglas City Cemetery, Douglas, GA.
William “Harry” Luke (1923-2000), born in Ray City, GA; moved to Nashville, GA as a boy; 1942 Freshman cadet at North Georgia College; flew with the 390th bomber squadron during WWII; flew in the Berlin airlift, 1949; career Air Force officer; ret. 1973; buried Alabama Heritage Cemetery, Montgomery, AL. William D. Alexander, of Nashville, GA. 1942, Freshman cadet at North Georgia College. Bill Roquemore (1923-1997), of Nashville, GA. 1942, sophomore cadet at North Georgia College. Enlisted in the Army in 1943; Served in WWII as a Martin B-26 bomber pilot; married Nell Patten; operated Patten Seed company in Lakeland, GA. Later mayor of Lakeland; buried City Cemetery, Lakeland, GA.
James A. Grissett (1932-2010); born and raised in Ray City, GA; 1951 Corps of Cadets, North Georgia College; later received a degree in Mechanical Engineering, Georgia Tech. Joe D. Clements (1931-2014), of Ray City, GA; North Georgia College cadet 1949-1953; joined the Army after graduation; later moved to Rome, GA.
Jonathan Perry Knight grew up in Rays Mill (now Ray City), GA and attended North Georgia College in the 1880s (photographed 1902). 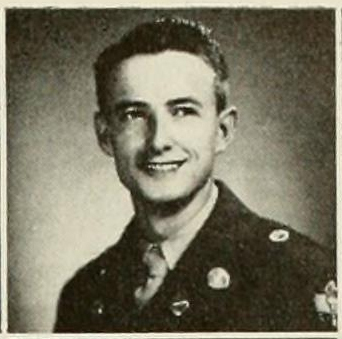 Joe Donald Clements (1931-2014), of Ray City, GA. 1953 Corps of Cadets, North Georgia College. Jamie Connell, of Nashville, GA. 1940 sophomore at North Georgia College. A. W. Starling, of Nashville, GA. 1922, sophomore cadet at North Georgia College. Charles Verne “Percy” Parham, of Nashville, GA. 1925, Senior cadet at North Georgia College. William Lamar Parham, of Nashville, GA. 1925, freshman cadet at North Georgia College. W. E. Bullock, of Nashville, GA. 1927, Junior cadet at North Georgia College. Wilmot Earle Bullock, of Nashville, GA. 1928, Senior cadet at North Georgia College. Shelby Jackson Morris, of Nashville, GA. 1930, freshman cadet at North Georgia College and tackle on the NGC football team. Wilson Connell, of Nashville, GA. 1937 freshman, Corps of Cadets, North Georgia College. Marie Sirmans, of Nashville, GA. 1938 freshman coed at North Georgia College. John Franklin Miller, of Nashville, GA. 1939 freshman, Corps of Cadets, North Georgia College. James Donald Rowan, of Nashville, GA. 1939 sophomore, Corps of Cadets, North Georgia College. Joined the Army Air Corps and was assigned duty in the Hawaiian Islands for the duration of WWII. Donald Willis, of Nashville, GA. 1940 freshman cadet at North Georgia College. Served in the Army during WWII. Jamie Connell, 1940 sophomore at NGC. Connell graduated from NGC and enlisted in the Army in 1943, becoming a navigator-bombardier in the U.S. Army Air Force during WWII. Mrs. A.J. Connell, of Nashville, GA was the 1940 sponsor of the North Georgia College newspaper, The Bugler. Her son, Jamie Connell, was Editor-in-Chief. William Henry Mathis, of Nashville, GA. 1940 Freshman, Corps of Cadets, North Georgia College. John David Luke, 1940 sophomore cadet, North Georgia College. In WWII served in the U.S. Army Air Corp, P-40 Pilot Instructor, Luke Field, Arizona. Donald Keefe, of Nashville, GA. 1941, sophomore cadet at North Georgia College. William Luke, of Nashville, GA. 1942, Freshman cadet at North Georgia College. Flew with the 390th bomber squadron during WWII. W. D. Alexander, of Nashville, GA. 1942, Freshman cadet at North Georgia College. Bill Roquemore, of Nashville, GA. 1942, sophomore cadet at North Georgia College. Served in WWII as a Martin B-26 bomber pilot. Donald Keefe, attended North Georgia College 1940-1941. Joined the Army Air Corps. Died in France during WWII.